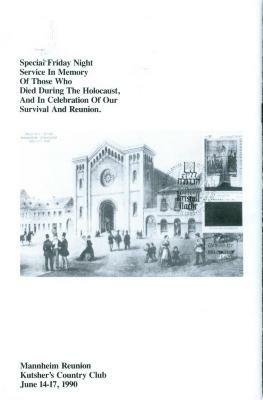 "Special Friday Night Service in Memory of Those Who Died During the Holocaust, and in Celebration of Our Survival and Reunion." The fs. TheThe . . ... .